Hello runners! I bet those who went to Corregidor the past weekend had a blast participating in the Corregidor International Half-Marathon race or even the 10km side event. As for me, I had a blast watching almost everyone cross the finish line with the happy and wacky antics of hosts Maey and Betong. Lastly, mark your calendars as the organizers have officially made it known that next year’s edition of the Corregidor International Half-Marathon will be on December 8, 2013. CIHM 3 Last Day of Registration is on November 23! The 3rd Corregidor International Half-Marathon is set to happen on December 1, 2012 at the historic and beautiful island of Corregidor. Incidentally, this race’s registration period is set to end by tomorrow, November 23. So those who have not signed-up yet but is intending to participate better register already! Below is the official press announcement about it. Cheers! Runners are all laced up and ready to race in the 3rd Corregidor International Half Marathon on December 1, 2012. As the big race weekend approaches, event organizers are inviting more and more running enthusiasts to register until Friday, November 23, 2012 at 11:59pm. Being the arena of one of the last major running events of the year, Corregidor Island is indeed mapped out and ready for the participants who will be flocking from all over the world. Runners from different countries will be coming in such as Ireland, the U.S., Australia, Japan, the Netherlands, France, Canada, Indonesia and Vietnam. Filipino runners are also making a rally for the race. Runners from the eight key provinces that have played a major role in the Philippine Revolution will be present. These provinces are Cavite, Bulacan, Pampanga, Nueva Ecija, Batangas, Tarlac, Laguna and Manila. Participants from Luzon, Visayas and Mindanao will also be coming in. Like King Leonidas’ army in “300,” their professions will no longer distinguish the runners. While organizers see a good mix of medical practitioners, lawyers, policemen, government employees, businessmen, salesmen, journalists, actors, call center employees, advertising executives, athletes, HR practitioners, OFWs, architects, engineers, chefs, artists, tech gurus, finance experts, international relations specialists and airline executives, the CIHM 3 will provide a level playing field for everyone. The participants are expected to arrive on the island on November 30. Though the race on December 1 will be hard, the runners will be expected to party harder. Before the race “showdown” begins, they will be treated to a delicious carbo-loading dinner courtesy of Yellow Cab and a traditional bonfire at the South Dock. And post-race, a rave party will erupt courtesy of Manila Beer and will be hosted by the inimitable tandem of DJ Chris and DJ Chloe from Mellow 94.7. Exciting prizes will also be raffled off during the party courtesy of Soleus, Yellow Cab, Sun Cruises, Igco Skim Milk and other sponsors. The 3rd Corregidor International Half Marathon is managed and organized by Big, Big, Big, Inc. presented by Soleus and Sun Cruises, Inc., in cooperation with Yellow Cab, Manila Beer, Corregidor Foundation, Running Mate, One Sceniques, ROX, L Time Studio, Igco Skim Milk, 38 Energy Drink, and the official hydration partners Summit Mineral Water and 100Plus Sports Drink and media partners The Philippine Star, Total Fitness Magazine, Business Mirror, Kulit Runner, Takbo.ph, MultiSport Magazine and Mellow 94.7. It will be available to all registered CIHM race participants and will be claimed as part of the race kit during the Runners’ Briefing on Nov 24 & 25 at R.O.X. Would you like to learn more about the 3rd CIHM? 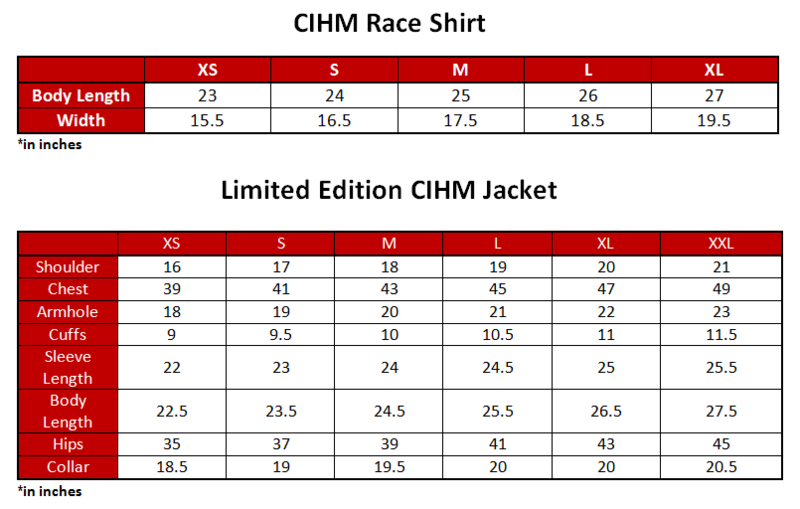 Click HERE for the race and registration details, HERE to view the Finisher’s Medal design and HERE for the CIHM Limited Edition Windbreaker/Jacket design. 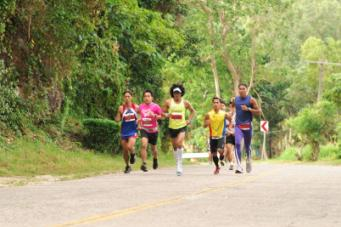 Sharing with you a teaser video, something to fire up your 2012 Corregidor International Half-Marathon preparation! 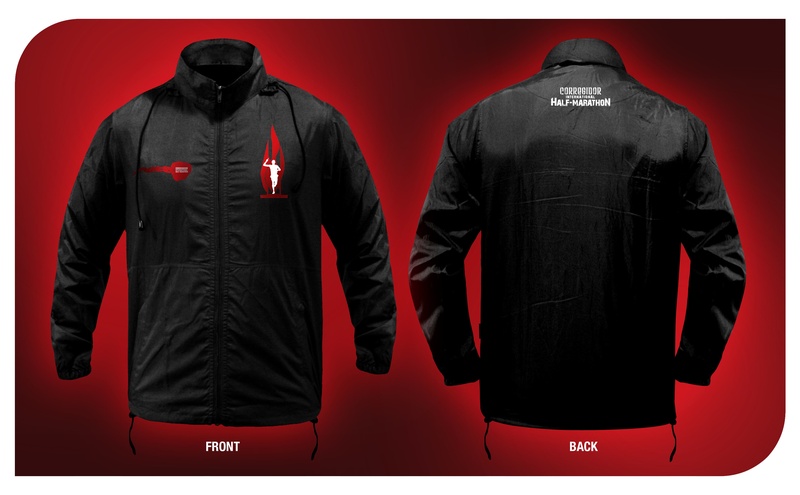 Here is the design of the limited edition windbreaker for the 3rd Corregidor International Half-Marathon. It will be available for sale exclusively for CIHM race participants only, during the Runners’ Briefing on Nov 24 & 25 at R.O.X. Only 30 pcs per size (XS to XXL) will be produced. P900 retail price. Would you like to learn more about the 3rd CIHM? Click HERE for the race and registration details and HERE to view the Finisher’s Medal design. Would-be 21k Finishers of the 3rd CIHM happening on December 1 are bound to receive this awesome-looking GLASS Finisher’s Medal. Cool! So if you haven’t registered yet, troop to any SM Cinema outlets and purchase your CIHM 3 SM Ticket now! Click HERE to view complete race and registration details. 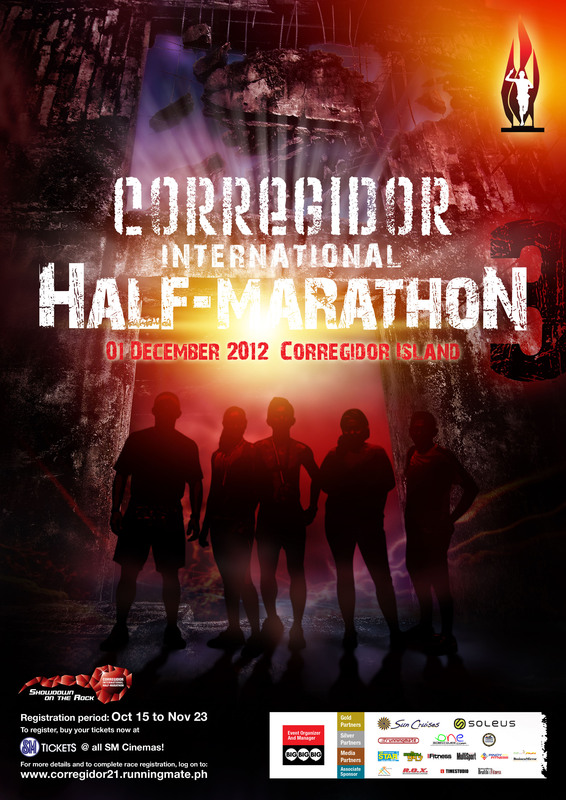 3rd Corregidor International Half-Marathon is on December 1! 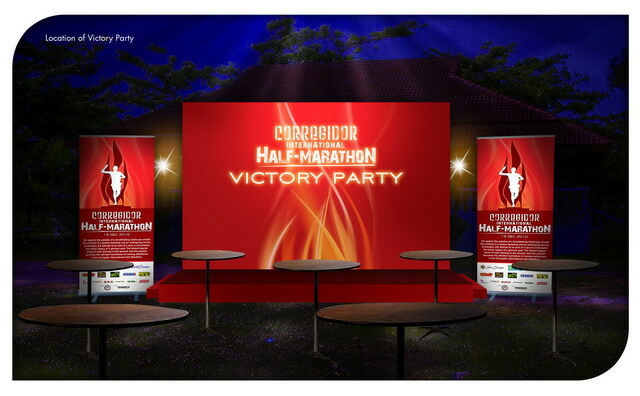 The stage is set for the mounting of the 3rd Corregidor International Half-Marathon on December 1. With this year’s edition billed as “Showdown on the Rock”, intense competition is expected to heighten as top runners in the running community gear up to outrun each other. Close to 1,000 runners are expected to make their marks on the historical island as each participant aims to earn the Corregidor conqueror title. Like last year’s edition, the 3rd CIHM will feature the centerpiece Half-Marathon and the 10K run. There will be no sweep time for the participants of both race categories. The first 500 registrants will be exempted from the race qualifying time – 3h30m (male) and 3h45m (female) for the 21K, and 1h30m (male) and 1h45m (female) for the 10K category. The 21K finishers will get the CIHM Medallion and 10K runners will receive the 10K Achiever Medal upon crossing the finish line. *The 3rd CIHM Race Registration Tickets can be availed at SM Tickets outlets at all SM Cinemas nationwide. For non-competing companions of race participants, they may avail of the regular Sun Cruises tour package also at SM Tickets. 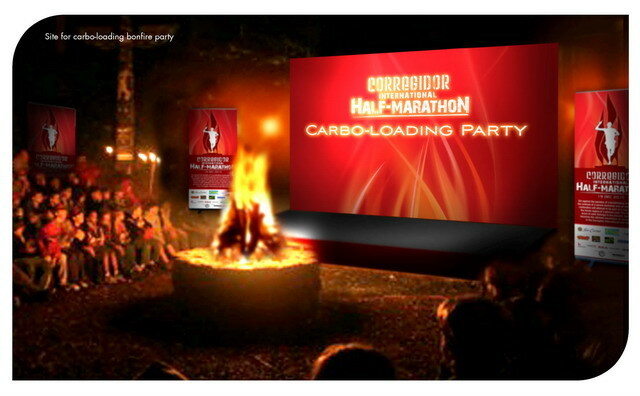 *For race participants wishing to attend the Carbo-loading Dinner (Nov 30), they may avail of the Carbo Dinner ticket at P250.00 on Nov 24 & 25 during the Runners’ Briefing. 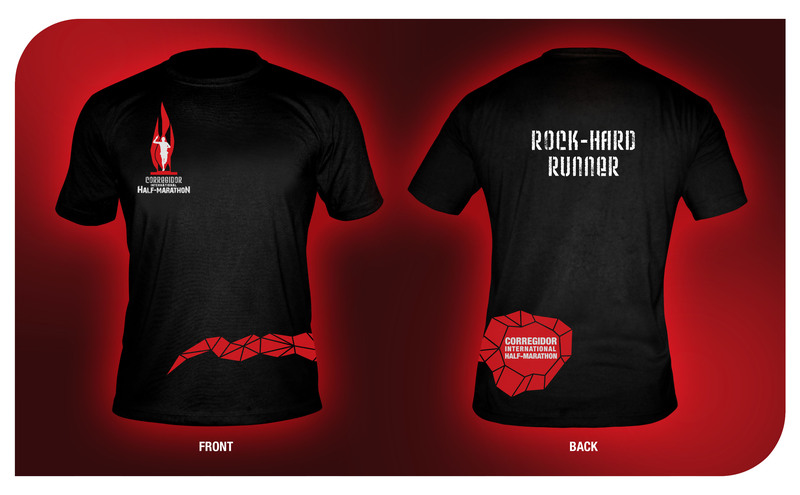 Tickets, log on to http://www.corregidor21.runningmate.ph to complete registration for the race. *For steps 1 and 2, remember to keep the 3rd CIHM race ticket on hand. You will be asked of the SM Ticket ID Number to validate your transaction. It is indicated on the ticket preceded with a “#” sign. 3) If applicable, make accommodations reservation with Sun Cruises (only registered participants will be given reservations; 1 room per participant only). Pay the appropriate accommodations booking amount through the payment mode advised by Sun Cruises. 4) On Nov 24 & 25 (as advised through email and text by the organizers) at R.O.X., attend the Runners’ Briefing, pick-up the race pack, and claim the Boarding Pass and/or Accommodations Booking ticket from Sun Cruises. Ensure to bring the 3rd CIHM SM Tickets. Anyone may pick up your kit at R.O.X. during the R.O.X Runners’ Briefing from 3pm to 8pm. They may be asked for identification and your signed authorization note. One of the distinctive features of the race is that it is a very tough foot race in terms of the course and technical rules. There will be a qualifying time (Men – 3h30m; Women – 3h45m) for this year’s edition of the CIHM. There will be no finish time cut-off for the race, however. All runners who have successfully managed to finish the entire 21km distance will be awarded with the Corregidor International Half-Marathon Medallion and Finisher’s Certificate upon crossing the finish line. Aside from the centerpiece 21km event, there will be a 10km race for running aficionados who are yet to be familiar with the challenging terrain of Corregidor but yearn to discover and experience its distinctive scenic course. 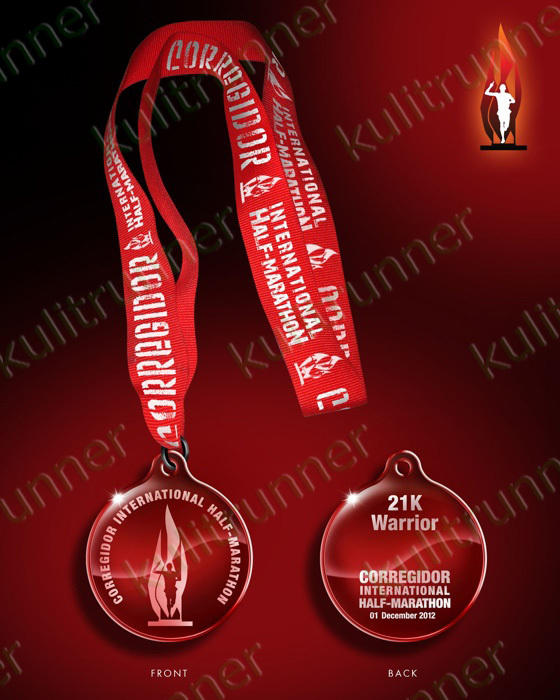 All finishers in this race category will be awarded with a 10km Achiever Medal. This course is exceptionally fast and stunningly beautiful. 2 months before the race, a media launch will be held to officially kick-off the countdown and registration for the race. It will be held on October 11 onboard the Bay Cruiser yacht of the Event Partner – Sun Cruises, Inc. An Open Forum will cap the media launch. All sponsors will be invited to be present in the event for brand building. Participants are treated to a nutritious pasta dinner in addition to a night of camaraderie and hearty sharing of running experiences as they prepare for their Saturday race. This dinner is a social event that brings participants together while they load up on essential carbohydrates prior to their event the following day. On the night of the race day, the CIHM Victory Party will be held. Successful finishers will get their Finisher’s Certificates during the special recognition segment of the event. Concluding the event is a concert party featuring live performances of an invited top band. The night will be capped with a surprise visual spectacle. Q: Is the Php2700 (regular rate too expensive for a race in the Philippines? A: Not so. Relative to the ever increasing registration fees of races in Metro Manila, the participation fee in CIHM is actually very reasonable, and almost a steal. Sun Cruise’s regular rate per person for a daytrip to Corregidor that includes round-trip ferry, a group-guided tour of the island, and a lunch buffet is Php2,200.00. The CIHM package, excluding the guided tour, offers all participants round-trip ferry, a full lunch buffet on race day, a genuine dry-fit race shirt, race sling bag, race bib equipped with an RFID timing chip, a classic Finishers’ Medallion, and a ticket to a mercury-rising after-race bash that is the CIHM Victory RaveParty, and a P1000.00 SOLEUS Gift Voucher. Q: Is the registration fee refundable or transferable? A: The registration fee is non-refundable. It is also non-transferable. Q: Is change of race category possible? A: Yes. Race participants who want to change their initially registered race category to a different category should contact the organizers not later than November 23 for assistance. Beyond this date, request for such will not be accommodated. Q: Does the registration fee cover accommodations in the island? A: No. Accommodations, however, range only from P2000 (twin sharing, P750 for add’l person) to P3500 (Resort cabana w/ aircon) per night per room. A standard room could accommodate three persons comfortably. It may be arranged through Sun Cruises at these numbers: 5275555 loc 4511, 0917-5459917, 0917-7948271, 0922-8475418 (Mon to Fri 8am-5pm, Sat 8am-12nn). Q: Is there any other option for accommodation if I were to go overnight? A: Yes. CIHM participants may opt to camp out with their own tent. They only have to make a one-time payment of Php250 per tent to Sun Cruises. The camp site is at the parade grounds adjacent to the South Dock and facing the beach. Those who will camp out need not worry about their lavatory needs. Though spartan in nature, there are more than ample clean washroom and restroom cubicles that are very proximate to the tent grounds. Q: Still concerning those going overnight, where could they avail of their meals ? A: Sun Cruises operates Corregidor Inn where CIHM participants may dine out in a welcoming restaurant. Alternatively, there are several kiosks in the island such as that in McCarthur’s Inn where participants may check out other meal options. Q: Will CIHM participants camping out be allowed to bring camping stoves? A: Mini camping stove or similar devices that will produce a relatively minimal combustion may be allowed to be brought in by participants who will camp out. Q: Are bikes allowed to be brought along? A: Owing to space limitations in and weight restrictions of the ferries, CIHM participants are disallowed to bring along their bicycles. Q: Will Corregidor be open to regular tourists on the day of the race? A: No. The island will be exclusive to CIHM participants on Dec 1. This means that CIHM racers could totally enjoy a traffic-less and urban-nuisance-free race amidst a dramatic backdrop, and that is only in Corregidor. Q: Where can foreign nationals, residing outside the Philippines, intending to join CIHM get information on Philippine visa requirements? A: They may check out the tab “Philippine Visa Information for Foreign Participants” in the CIHM website http://www.corregidor21.runningmate.ph or other veritable websites on the net. Q: Can registered participants have their own pacers? A: Yes but only if the pacer is also a registered CIHM participant. The race will strictly adhere to the “No Bib, No Race” policy. Q: Will there be a sweep time for CIHM participants? A: None. CIHM participants need not worry about being swept off the race course after a particular time. All participants who will successfully finish the 21k and 10k distances, respectively, will be awarded with the CIHM Finishers’ Medallion and 10K Achiever Medal, correspondingly. Q: How many hydration stations will there be on the race course? A: There will be 8 hydration stations, including one at the finish area, at 2km interval from each other. Q: Will there be first aid stations along the race course? A: Yes. First aid, actually, will be integrated with the hydration stations. Aside from this, a mobile paramedic team will also be in place. Q: What is the unique selling point of Corregidor International Half-Marathon? A: It is the idea that all CIHM participants will have the rare opportunity to run on sacred grounds and all their determined efforts will be cheered on by the glorious memory of heroism of our noble predecessors. Then there’s the bonus of an after-race Victory Rave Party where participants could revel to celebrate their achievement.